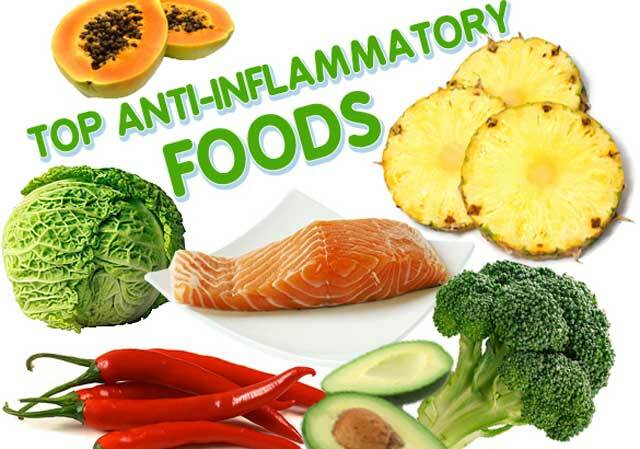 Top 10 Anti-Inflammatory Foods – Do you know what is inflammation? Inflammatory is the body’s immune system response to irritation, injury, or infection. Inflammation is a normal condition that is considered to be good because it becomes a process of curing a disease. However, if it is chronic inflammation, it could have a negative impact on your body and your health. For those of you who experience in chronic inflammation, you need to take anti-inflammatory foods to counteract the chronic inflammation, chronic inflammation is derived from an unhealthy lifestyle. The following are some anti-inflammatory foods that you should know. 1. AlmondAlmond is a very nice meal with a content of monounsaturated fats; Almonds contain vitamin E and manganese. Moreover, almonds are also a source of magnesium and vegetable protein. According to the research, that eating almonds can lower the risk of heart disease because it increases the fatty acids in the blood. Indeed, almond include high calories foods compared to other anti-inflammatory foods, you can consume almonds as much as a handful. Avocados are rich in unsaturated fats that healthy for heart. This fruit is the source of magnesium, fiber, and potassium, but low odium. Eat a half of avocado will add to the daily needs of the body will intake of vitamin C, A, E, and vitamin B complex. The combination of nutrients and polyphenols that work as antioxidants make avocado good consumption as an anti-inflammatory. Furthermore, meals are included in the anti-inflammatory foods is red beans, black beans, and soybeans. It is a source of vegetable protein and minerals, vitamin B complex, and vitamin K. In addition, nuts also contain fiber and polyphenols that act as antioxidants. Research shows that beans, peas beneficial to health and help prevent some types of heart disease, diabetes, and high blood pressure, and of course, can reduce inflammation. Broccoli is vegetable sprouts which is high in phytochemicals; broccoli is a very potent antioxidant. Broccoli is also suggested as a source of vitamin C, potassium, calcium, vitamin A, and low in calories. Epidemiologic study shows that eating vegetables in the cabbage group could reduce the risk of certain types of cancer. The next anti-inflammatory foods are kale. These vegetables are an excellent source of vitamin A, vitamin C, and vitamin K, kale also contains calcium, iron, magnesium, potassium, and vitamin C, but low in sodium, low in calories, but little in fiber. Another content is lutein and zeaxanthin that are beneficial in helping to reduce the risk of cataracts. More, lutein may help prevent atherosclerosis. Of course, you are not a stranger to this oil. In fact, olive oil is anti-inflammatory foods. This oil is an important component in the Mediterranean diet, which is always associated with heart health and longevity. Rich in unsaturated fats that are good for the blood vessels and has polyphenols that work as antioxidants to protect cells in the body. Olive oil helps reduce inflammation, reduce high cholesterol, and even allow some polyphenols may help prevent some types of cancer. The next, an anti-inflammatory food is orange. Oranges are a source of vitamin C and potassium, fiber, calcium, and folic acid. Fiber and folic acid in citrus can help keep your heart healthy and boost immunity, promote strong connective tissue, and blood vessels healthy. Oranges and orange juice are an excellent anti-inflammatory food for consumption. Spinach is one of the best anti-inflammatory diets. Spinach is a source of lutein that associated with vitamin A and beta-carotene. Research shows that people who consume green leafy vegetables, such as spinach, can reduce the risk of degeneration diseases. Besides, Spinach also contains iron, vitamin K and folate, and very low in calories, so it is suitable for weight loss food. Salmon that widely available in the Amazon river, including the anti-inflammatory foods. Salmon contain omega-3 fatty acids in large amounts. The study showed that people who frequently consume fatty acid is known can reduce the risk of dry eye as well as good for the heart. The American Heart Association recommends to consumption of fatty fish, such as salmon, at least twice a week. Salmon is the best source of the antioxidant called astaxanthin. This fruit is low in calories, high in fiber, and contains vitamins and minerals that your body needs to function normally, including lots of vitamin C, so can increase the immune system. Strawberries also include in anti-inflammatory foods and has many other health benefits.